There are several bingo sites that provide promotional offers to attract new players. Almost every site gives a cash incentive to new users when they register, but most of them require a minimum deposit. If you deposit a particular amount they give you either a certain percentage of it or a fixed amount as welcome bonus, which is the extra free money you get to buy tickets and play the game. But some of the sites provide initial promotions for new users without any prior condition of deposits. These are called no deposit bonuses that you get immediately after creating an account and without depositing any money. Such cash rewards are a great way to start playing the game without actually investing any money. Most of the sites also allow free play, where you do not pay any real money to play bingo, but then you do not win any real cash either playing without initial deposit is thus different from free play. Bingo Chimp is a Malta licensed site that has been tested and certified by iTech Labs for the RNG it uses. It offers its players both local and networked rooms for playing Bingo. Players get a choice of 90 balls, 80 balls and 75 balls. Also players have an option of opting for free play rooms where they can play with play money. 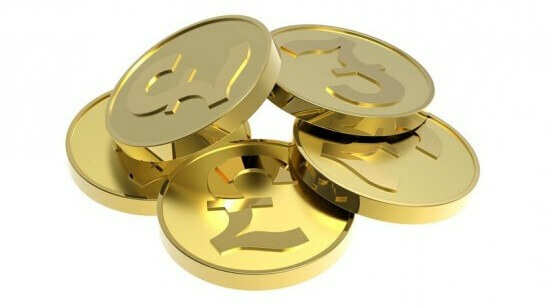 The site offers a no deposit bonus of Â£15 to new users, which can be used to play in real money rooms. All you have to do is go to the site and register as a new user. You will be asked to provide your email ID. After the verification of your email ID, you will get Â£10, and after you finish entering all your details for your new account you will get Â£5 more. Now you can access your account, select a game and start playing. Besides the cash incentive, this site offers another cash incentive of 200% and a Reload free cash of up to 400% depending on the deposit amount. Comfy Bingo is powered by Cozy Games software. It offers the four types of bingo games, 90 balls, 75 balls, 80 balls and 30 balls. It also provides scratch cards and a huge collection of casino games. All the games are available as mobile apps for Android and iPhone users and there are apps for the tablets as well. Another feature of this site is the live chat support available for any queries. Besides the free Â£15 initial promotion, the site also offers a welcome package of a combined 750% on your first three deposits. You get 200% of your first deposit as an incentive as soon as you make your first deposit. Next when you transfer money into your account the second time, you will get a an amount of 250% of your deposit amount. And you will get 300% on your 3rd deposit. And that is not all; besides the welcome package, many types of promotional offers that are available to loyal players.